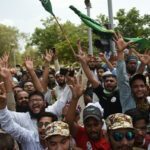 Pakistani Christians have been angered by a statement by the Chief Minister of the province of Khyber Pakhtunkhwa that only “non-Muslims will be recruited as sweepers”. The province, known for short as KPK, borders Afghanistan. Its Chief Minister, Pervez Khattak, who is in former international cricketer Imran Khan’s party, Pakistan Tehreek-e-Insaaf (PTI), says that he was quoted out of context and misinterpreted. Khattak denied that he intended anything derogatory. He said that he was only responding to minorities’ concerns over access to jobs they have traditionally taken, now being denied by applicants who claim that as Muslims they cannot do “unclean” jobs anyway. 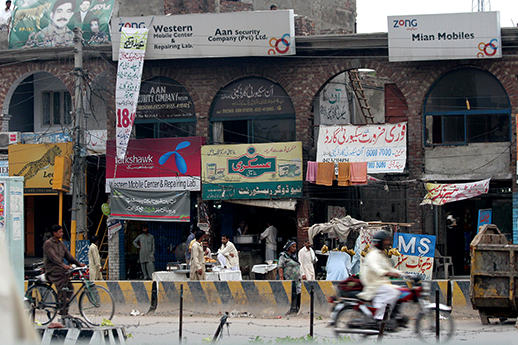 Nevertheless, the Christians’ anger (sparked when a local Urdu channel, Capital TV, reported the statement) went viral, and has hit national headlines because it highlights long-entrenched discriminatory practices rooted in the Indian sub-continent’s history, and still faced by Pakistan’s Christians and low-caste Hindus. Christians took Khattak’s remark to be deeply offensive, with many saying that it showed the “true” stance of PTI, whose election slogan in May was “Justice, Humanity and Self-Esteem”. Khattak is PTI’s first-ever provincial Chief Minister. In May, PTI surprisingly won the militancy-hit northwestern KPK, and now runs its first coalition government there. The Christians are the main minority, although a small number of Hindus and Sikhs also live there. Hence, Christians took the Chief Minister’s statement as a direct reference to them, although others add that non-Pashtun ethnic groups, such as Persian-speaking Hazaras might also have been implicated. As the Christian community took offence, the opposition Pakistan People’s Party (PPP) leader Napoleon Qayyum on July 11 filed a petition for an “apology” in Lahore High Court. The petitioner made Khattak and the two Capital TV talkshow hosts parties to the “offensive statement”. Albert David, the chairman of Pakistan United Christian Movement, asked how Khattak could say that Muslims are not eligible for sweepers’ jobs and that only members of the minority communities could perform this task? “Whatever the context, it is very insensitive to say that the jobs of sweeping would only be given to minorities,” he said. Ahmed Rafay Alam, LWMC Chairman. Why such a strong reaction? PTI spokeswoman Dr. Shireen Mazari tried to explain to World Watch Monitor the context for the remarks: “The previous government had recruited a lot of politically motivated recruits into the Peshawar Municipal Corporation, who had then refused to work as sweepers and stressed that they should be posted to other jobs. The Municipal United Workers’ Union President Mushtaq Masih told World Watch Monitor that in Peshawar Municipal Corporation there are 935 sanitary workers and 111 of them are Muslims. “Muslim sweepers are like kings,” he said, “they do nothing but regularly receive their salary.” He said recruitment of these Muslims was politically motivated, and so their workload is shifted to the Christian sweepers. “Tired of this situation, I wrote a long letter to the Chief Minister, and handed it to KPK Assembly Member Fredrick Azeem,” Masih recalled. “I stressed that sweepers’ jobs must only be given to the Christians and not to Muslims because they don’t work.” He said that, based on his letter, the KPK Chief Minister had issued an order and a press release. KPK Assembly member Soran Singh, PTI Gen. Secretary of its minority wing, who also raised the matter, said that it was a long-standing demand of the sweepers that no Muslim be hired for this job. “My heart goes out to the Christian community and this is my mission to change their future,” he said. 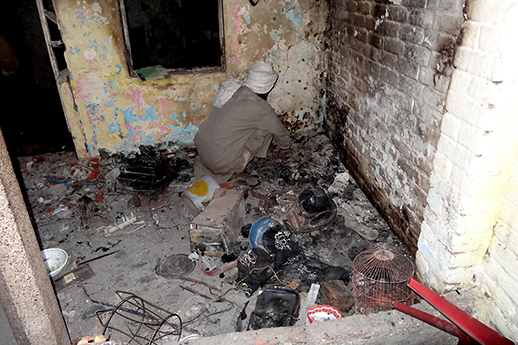 Mushtaq Asi, former present of the Sweepers’ Union in Lahore, said he agrees that these jobs should only be given to the Christians because he says Muslims do not actually “do” this work. Christians account for around 2% of the almost 180 million population. However, representation of Christians in the occupation of cleaning and sweeping is extremely high. Lahore is the capital of the Punjab, the largest province in Pakistan. Its population is estimated at more than 10 million. According to Lahore Waste Management Company (LWMC), there are 7,894 sweepers working there and most of them are Christian. In Islamabad, the capital, there are about 1,500 sanitation workers, according to the Capital Development Authority’s (CDA) Sanitation Directorate figure. CDA Workers’ Union General Secretary Chaudhry Muhammad Yasin says all the sweepers are Christians. Quetta Municipal Corporation is responsible for keeping the capital of Balochistan province clean. Out of 978 sweepers, 111 are Muslim and the rest are Christian. Gilgit is the capital of the Gilgit-Baltistan province. Israr-ud-Din Israr, provincial coordinator for the Human Rights Commission of Pakistan (HRCP), says Gilgit Municipal Corporation is very small but all the sweepers are Christian. “Sweepers in most institutions, like Karakoram University, Gilgit District Jail and offices and schools are also Christian,” says Israr. Karachi is the largest city in Pakistan with an estimated population of 23.5 million people. Umar Baloch, a rights activist who worked for the rights of sanitary workers in Christian organisation Idara Aman-o-Insaaf in the 1990s, says in 1997 there were about 19,000 sweepers in the Karachi Municipal Corporation and Karachi Water and Sewerage Board. “In my view, more than 80% of sanitation workers were Christian at that time,” he said. Azad Jammu and Kashmir is a quasi-independent state with huge dependence on Pakistan. There are around 40 Christian families in its capital, Muzaffarabad. For their subsistence all are compelled to work only as sweepers. Other institutions like private banks, factories, airports, hospitals, bus stops, railway stations and zoos have a similar representation of Christians as sweepers. If figures from all public and private institutions were gathered, the number of Christian sweepers would run to hundreds of thousands. 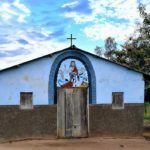 Life can be even more tough in smaller cities and villages where Christians on the whole are treated as ‘pariahs ‘ and ‘untouchable’. 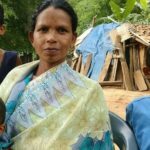 One Christian leader, speaking from a remote area, told World Watch Monitor: “I am struggling for Christians to be appointed in jobs other than that of sweeper but it is almost impossible. Even for the job of a sweeper now, we have to pay a bribe of at least 200,000 rupees (roughly $2,000)”. Asia Bibi’s case is a reminder of this social phenomenon: she remains in prison convicted of blasphemy for offering someone drinking water which, she, as a Christian, was considered to have made ‘unclean’ by her touch. Such high representation in the sweeper occupation, disproportionate to their total population in Pakistan, is the main reason why Christians took offense at the KPK Chief Minister’s statement. Why are so many Christians working as sweepers? Academics such as Duncan Forrester of Edinburgh University, who specialises in Christianity and caste, explains how when Presbyterian missionaries went to north-west India, those who converted to Christianity came from the poorest of the poor, the lowest Hindu castes. Professor Salamat Akhtar, a former professor of history at Gordon College in Rawalpindi, also explains why Christians have higher representation among sweepers. At the time of partition of the Indian subcontinent into India and Pakistan in 1947, hundreds of thousands of people crossed the newly created borders. Before partition, most Christians worked the land for their Sikh agricultural landlords. At partition, Hindus and Sikhs left for India and Muslims left for Pakistan. “At least 50,000 Christian families were rendered jobless in Pakistani Punjab after the lands evacuated by Sikhs were given to Muslim migrants,” he said. “These labourers had no choice but to seek employment in cities in whatever occupation was available,” he said. Professor Akhtar also said that the government “deliberately pursued a policy to keep Christians in this occupation once they got trapped in it in 1947”. As President of the All Pakistan College Teachers’ Association, he met the Education Secretary in Islamabad in 1980. 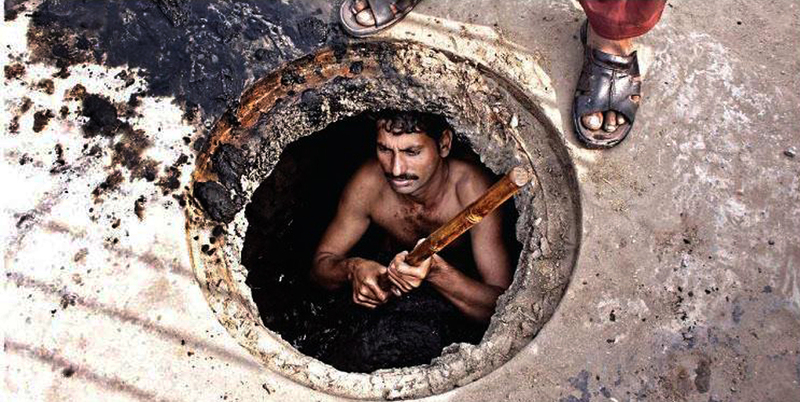 The Minority Rights Commission (MRC) published Working Conditions of Sanitary Workers and Sewer Men in Lahore in 2007. It reported at least 75% of the workforce in Solid Waste Management (SWM) belonged to the Christian faith. Muslims recruited as sweepers usually didn’t work as such, but served instead as domestic servants in the houses of senior officers. The study notes that at least 70 sanitary workers died from 1988 to 2007, due to their going down into gutters without protective gear. “None of the sewer men killed so far is Muslim,” the study noted. Garbage men and sewerage cleaners work in extremely unhygienic conditions. The waste and filth is “picked up from the ground manually”, according to the study. Due to these extremely unhygienic conditions, many of the workers contract tuberculosis, hepatitis B, hepatitis C and skin diseases. It notes that only 18% of male sweepers were able to read and write, while none of the female sweepers were literate. The study also notes that a person recruited as a sweeper will always remain a sweeper because there is no possibility of promotion. Additionally, these labourers work for 10 to 12 hours a day without any leave. Few of them are permanent; the rest are hired on a contract of 90 days and called “work charge” daily wagers. By not falling into the category of government employee, they are not entitled to benefits like pension or medical facility. The study noted that “no legal action has ever been taken against any … official”. Since this report from the Minority Rights Commission a major change has taken place in Lahore. The SWM is now privatised as the Lahore Waste Management Company (LWMC). Although the name has changed, many of the procedures are the same. To be a sweeper means more than being poor and illiterate. Under the Indian caste system, only ritually ‘untouchables’ were put to this occupation. High-caste Brahmins did not want to see sweepers working, so they ordered them to live outside the village and clean the roads early in the morning. There are no more Brahmins in Pakistan but the sweepers are still expected to clean the city early in the morning. It is not a coincidence that in several villages, houses of the Christians are outside the village. The term “chuhra” is the most derogatory one reserved for the sweepers and considered by some almost synonymous with ‘Christian’. The words “bhangi” (“sweeper”) and “jamadar” are other offensive titles given to these workers. But HR Manager Farooq says in Lahore they do not even call them ‘sanitary’ workers. “For us they are only workers and no historical baggage of the caste system is carried forward,” he said. In several areas, Christians are refused a haircut because it involves touching their hair. About 15 Christian families live in Sikandarpura, a village in Patoki, Kasur district, where they cut each other’s hair because no barber in the area will do it. A tea stall in this village has separate crockery for Christians. Most of the crockery has broken edges. Christians must pick up the cups themselves, tea is poured from a distance and, after taking tea, Christians must wash them and put them back on the shelf themselves. Jamshed Rehmatullah, Chairman of the Forman Christian College (FCC), Board of Governors, a minister for Minorities and Human Rights in the last Punjab government and former Lahore High Court Justice, says that it could be possible that most sanitary workers are Christians, but that most Christians are not, as some say, sweepers. Albert David of the Pakistan United Christian Movement and Head of Consular Assistance at the British High Commission says: “Hundreds of Christians are working as professionals in non-government organisations and banks in Islamabad”. 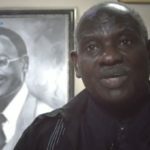 He is optimistic that Christian representation among sweepers is on a downward curve because they are getting out of sweeping by acquiring an education. A recent success which attracted national coverage on Geo TV was Labha Masih, son of a Christian sweeper couple in the city of Okara, who passed his Punjab Public Service Commission exam to be appointed a magistrate (the media attention itself highlighting, however, the rarity of such cases). A government job advertisement published in the Daily Express, Lahore edition, dated February 5, 2010 states that applicants for the sweeper’s job “must be Christian”. At the same time, a Christian, Naeem Nazeer, applied for the job of office boy with the Health Department in the city of Kasur, Punjab and was interviewed on March 16, 2010. However, the contract letter he received said that he was hired as a sweeper, a category for which he had never applied. To rectify this, Nazeer lodged his case in the Lahore High Court. It is still pending. On May 24, the United Nations Human Rights Council (UNHRC) noted that ‘untouchables’ in South Asia such as sweepers “face marginalisation, social and economic exclusion, segregation in housing, limited access to basic services including water and sanitation and employment, enforcement of certain types of menial jobs, and working conditions similar to slavery”. Pakistan stated to the UNHRC Universal Periodic Review in 2008 that “[Pakistan] is a Muslim country and does not have the concept of Dalit [which deems some people ‘untouchable’]… It is free from such kind of prejudices, and the existing norms do not contain discrimination on the basis of caste or creed”. The Council in its adopted outcomes recognised discrimination against 2 million ‘untouchable’ Hindus but did not mention the treatment of Christians. For many sweepers, however, it seems impossible to recover dignity while in an occupation considered ritually impure in South Asia for thousands of years. LWMC HR Manager Farooq says he had observed that the children of sweepers were not interested in joining this occupation, and that their parents also struggle to provide an education to their children. Supreme Court attorney Naeem Shakir says that some church leaders do not always like to associate with this sweeper group due to their lack of education and economic development, and what he calls their ‘depressed psyche’. “Education is the key to bringing socio-economic revival in the lives of poor Christian sweepers,” says Paul Bhatti, Head of the All Pakistan Minorities’ Alliance (APMA). He said his former ministry (of National Harmony and Minority Affairs) provided thousands of scholarships for education and that APMA was launching vocational training courses so that fewer Christians become sweepers. He said that missionary educational institutions could have played an important role in bringing this socio-economic change. “When I was in government, I requested the top government officials to help me in providing education to the poor Christians. These officials always queried that if they could acquire education in our missionary schools, why do those schools fail to equip their own Christian children?” Bhatti said. Albert David joins Bhatti in this stance. He says the second largest educational infrastructure after the government was owned by the Christian missionaries, so he asks why education for Christians could not be provided for free. “They should have at least devoted a quota in their elite English medium schools. Then things would have been different today,” he says. However Veeda Javaid, executive director at the Presbyterian Board of Education, says the role of missionary institutions should not be belittled. 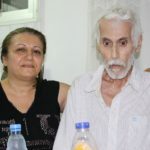 Javaid said that Pakistani Christians should not forget that out of 3,000 nationalised schools in 1972, most were of Christian missions and remained in the government’s control until 1998. “Despite de-nationalisation, we are still struggling to obtain our three schools in Lahore, in Sialkot and Rawalpindi. Politicians should come to our aid in taking back these schools so that more Christians can be taught,” she said. Raheem-ul-Haq, research fellow at FCC Centre for Public Policy and Governance says the biggest challenge today regards the ‘dignity of manual work’. Pinning all hope for change on education is a long-term goal, with little attention to improving existing status, he says.